Yes that’s right I’ve got two weeks break from uni so I’m back in Moree and back at work. Which means that today’s post is coming to you live from the tractor. Unfortunately because its live from the tractor there’s bound to be a few typos due the bumpy ride as I type it on my iPhone, so I’ll apologise in advance. 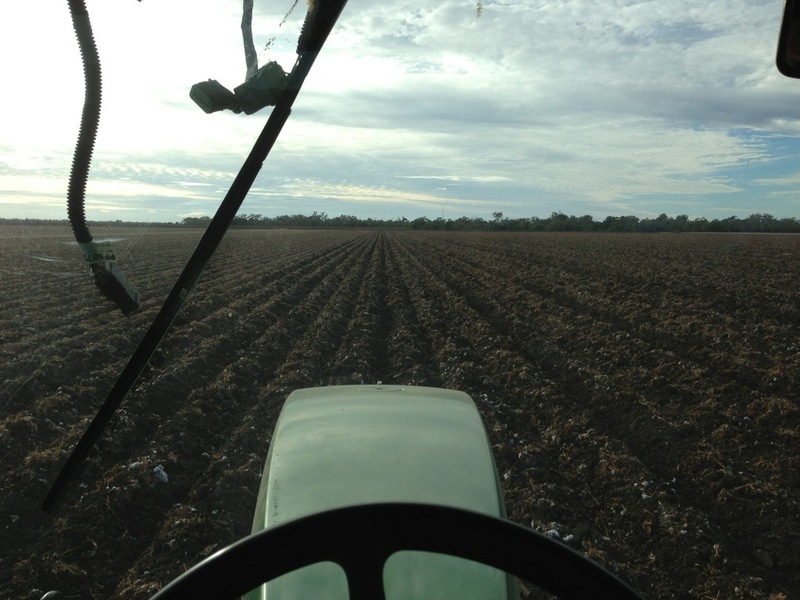 It’s all go go go here at the moment we’ve got the cotton picker charging ahead in the field with the three tractors following up behind preparing the soil for the next crop. 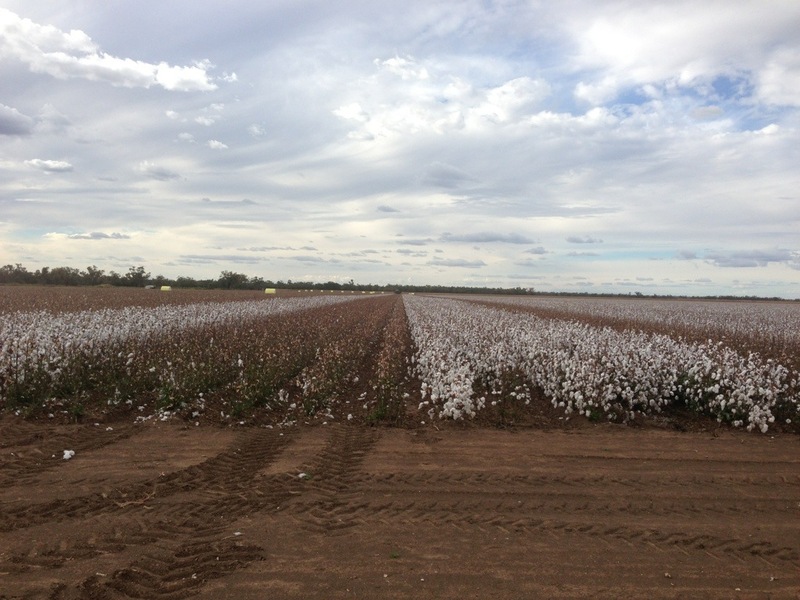 When the cotton is picked the cotton picker leaves the plant mostly in tack so the first machine to go through the field after the picker is the slasher-root cutter. 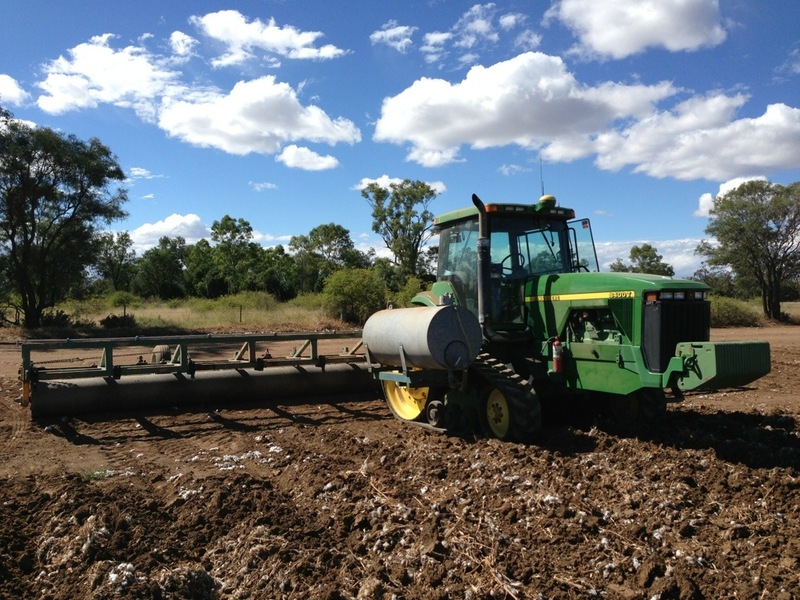 This machine slashes the cotton plant above ground and cuts the roots below ground to stop it coming back in the following season. 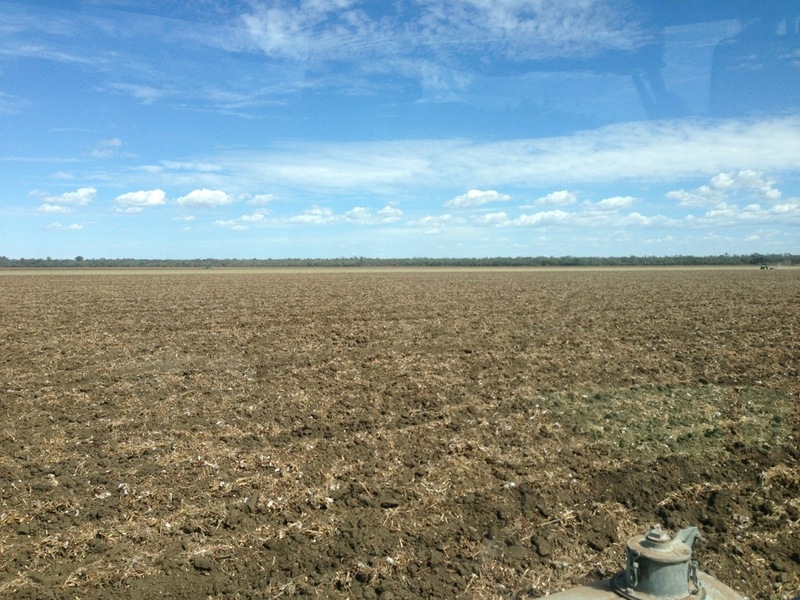 After the cotton has be slashed the ground needs to be prepared for the next crop. 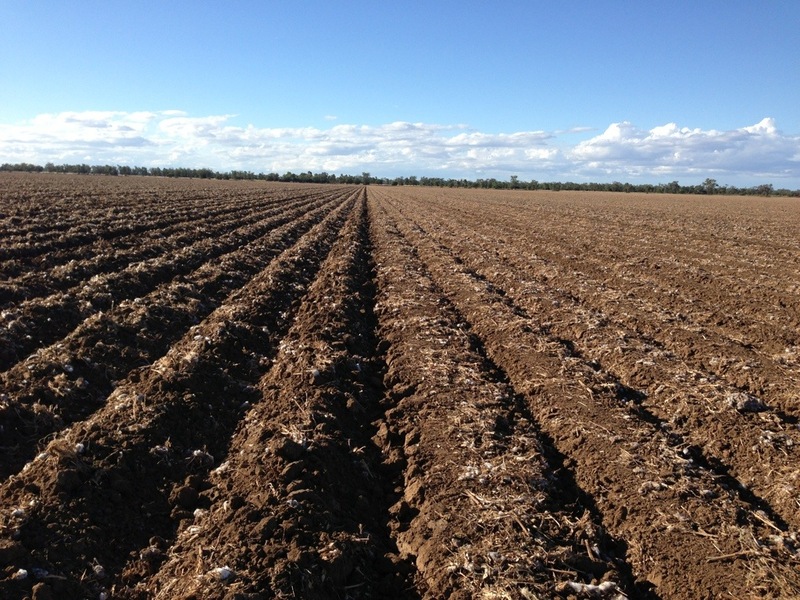 As this is a irrigation property we don’t use zero till in the irrigation blocks, instead we need to put hills in so the plants have a good seed bed and there are furrows for the water to flow down. To do this we run a plough through once and figs the furrows while building up the hills. However these hills still aren’t a great seed bed and need one final machine to finish it off. When the hills are formed the tops are narrow, uneven and filled with clods of earth. To fix this and make it suitable for planting a roller needs to be run over them which flattens out the tops and helps to break up the clods of firth leaving it ready for next season’s crop. Again I’d like to apologise for any typos as it is difficult to type while in the tractor. As always if you have any questions or want to leave a comment feel free to do so below and make sure you check out the latest Cotton Career this weeks is Ag Pilot. What a world we live in when you can blog from the tractor. Very interesting especially as I don’t know much about cotton growing and preparing for it. Thanks for the comment, I was thinking the same thing yesterday it’s just amazing that I can have a GPS drive the tractor while I write a blog on my phone and upload photos taken with the it’s camera, 10 years ago it simply wouldn’t have been possible. Again Thanks for your interest, I hope your enjoying it and continue to read it into the future.